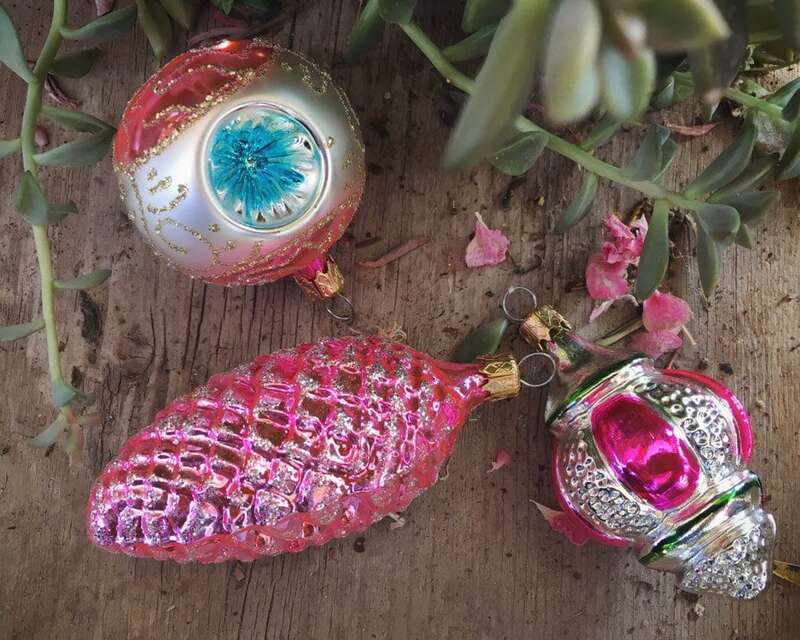 These three vintage Christmas ornaments are beautiful in different shades of pink. All were made in Colombia, and each is different. 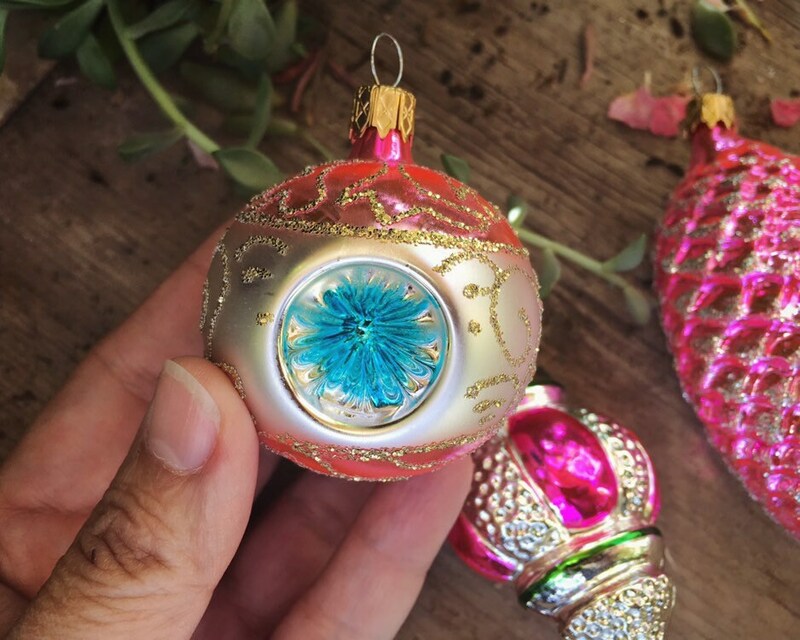 The round bulb is a reflector ornament with three indents, designed to reflect light from all sides. 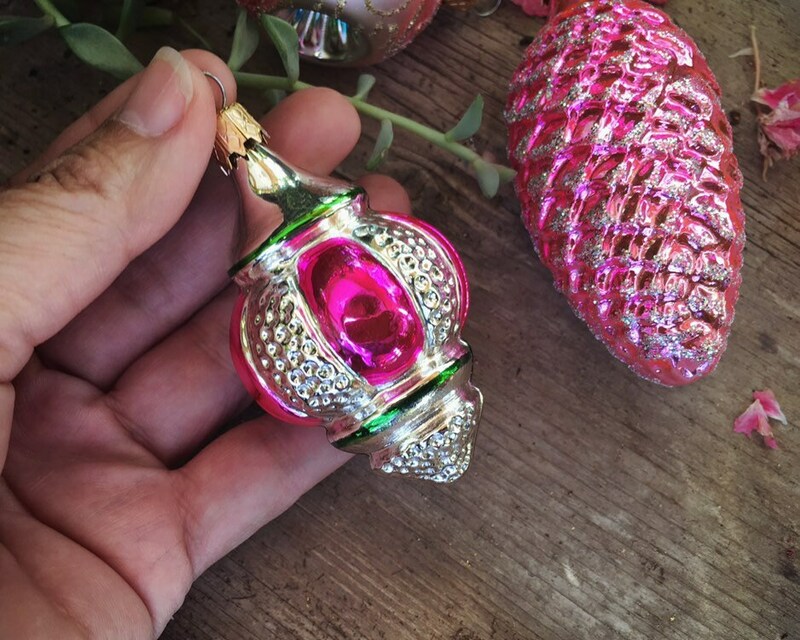 That ornament also as glitter flocking that looks golden in some lights and silver in others. 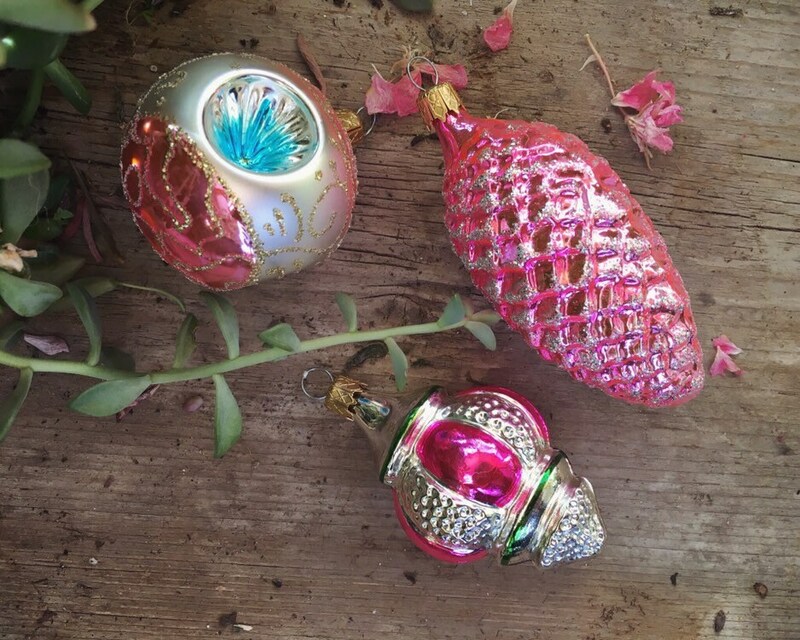 The pink glass pine cone has a textured surface that reflects light, and has glitter flocking. And the pink and siilver panel ornament is a great complement to the other two. 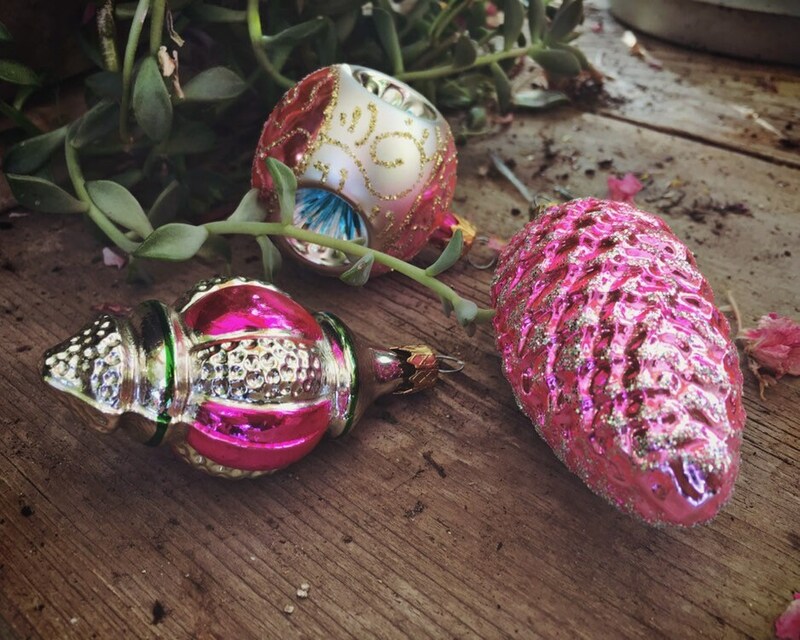 All are made of mercury glass and are circa 1950s to 1960s. 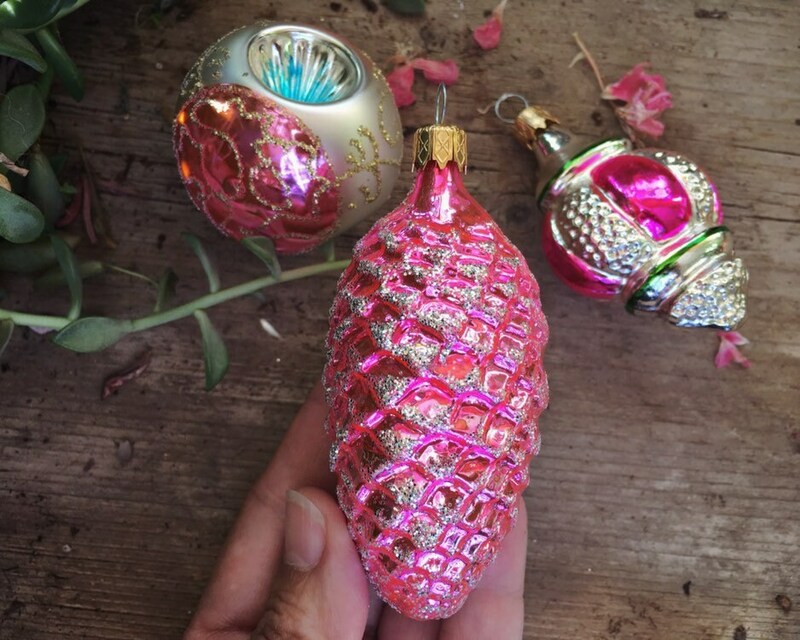 The largest of the three is the pine cone, which measures 3-3/4" long. Then the reflector bulb, which is about 2" in diameter. And finally the pink and silver, which is about 2-3/4" long. All in good vintage condition. 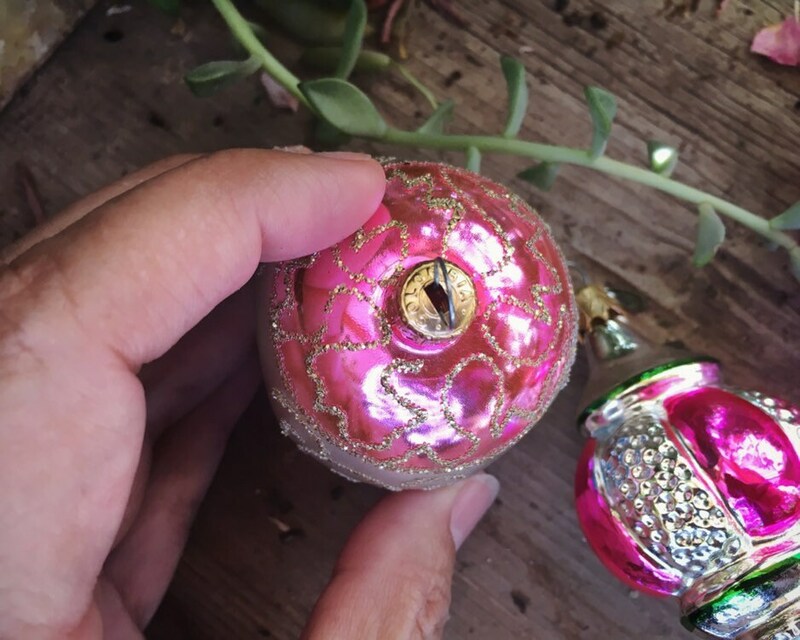 For a beautiful vintage Christmas.